Instant Blog is a multi-purpose blog & magazine script. You can create easily Facebook Instant Articles & Google AMP pages. Instant Blog has clean, responsive and user-friendly design. 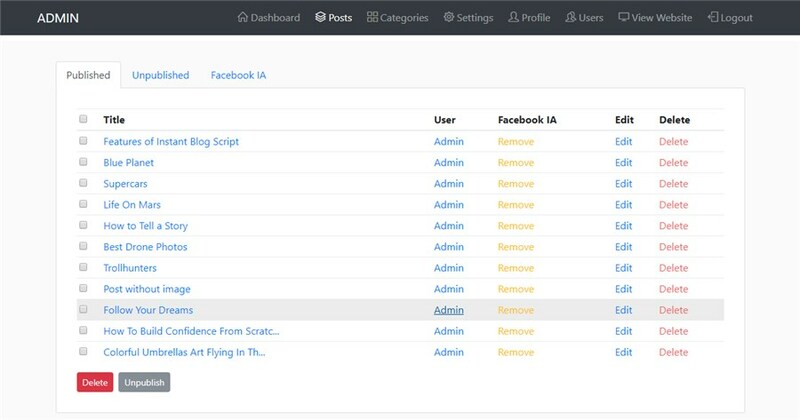 You are able to manage your posts,categories, users and settings with its powerful Admin panel. 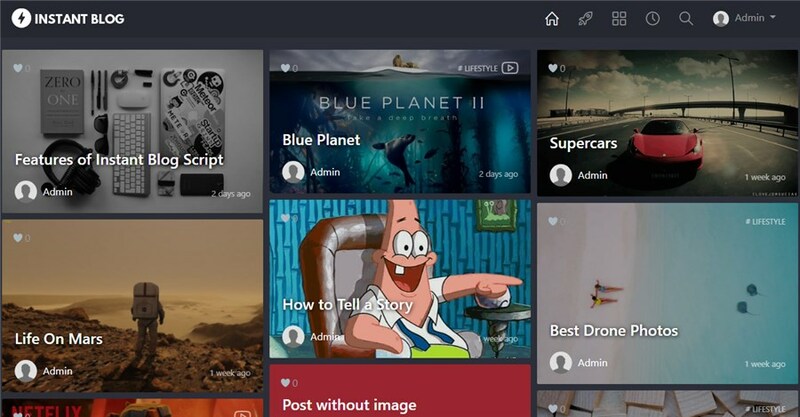 Dynamic form for creating posts. Ad management ready you can easly add ads to your posts. It is secured, seo optimized, fast and simple to use. What is Facebook Instant Articles ? Instant Articles is a mobile publishing format that enables news publishers to distribute articles to Facebook’s app that load and display as much as 10 times faster than the standard mobile web. What is Google AMP ? The AMP Project is an open-source initiative aiming to make the web better for all. The project enables the creation of websites and ads that are consistently fast, beautiful and high-performing across devices and distribution platforms. For testing demo site Google AMP page : Visit this link by your mobile device : Click Here with your mobile device. 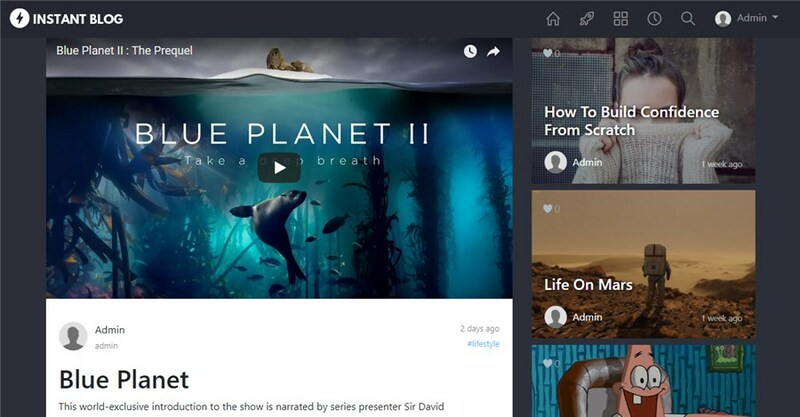 Auto embed content with URL from Youtube, Twitter, Facebook, Instagram & Pinterest. You can translate it with single file. 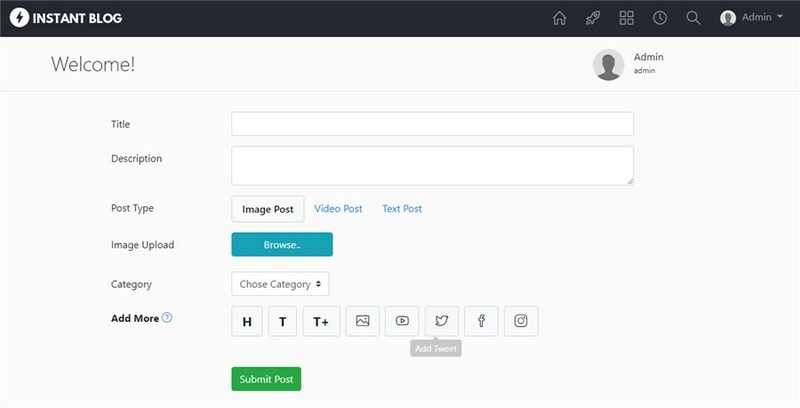 Dynamic form for creating posts. Installation wizard. Easy to install. Built with Laravel 5 and Bootstrap 4. We dont provide admin login but you can see screenshoots from this link . Please contact us from contact form. . Responsive share buttons style fix. Added Google Analytics code box. Auto generate slug for unsupported charachters. Google amp image size fixed.